Looking for ideas? 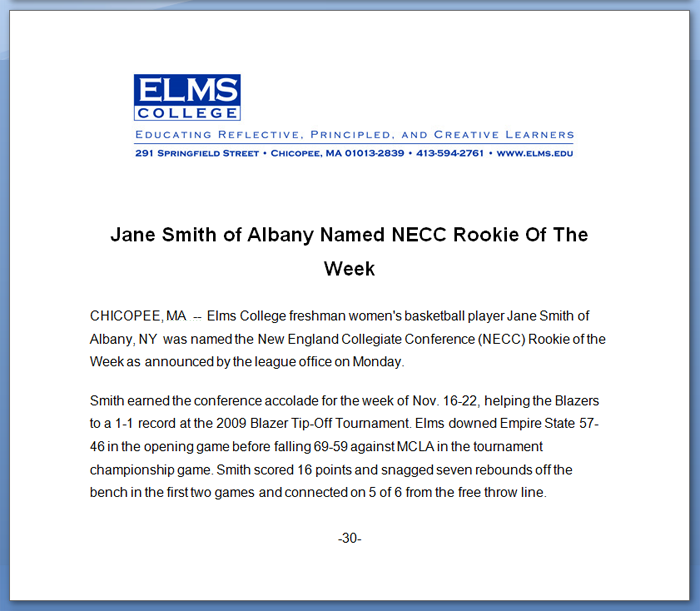 Here's a press release about a student athlete being named player of the week from Elms College. You can use an individual hometowner to release news about this student.